So we lost the series after all. This was a tough one to lose, and not just because losing this game meant losing a four-game series. It was a tough one to lose because of that but also because we really battled to hold on. Lackey pulled it together, Britton kept it together, and the hitters did a nice job of putting us back in it. I really thought we’d be able to turn it around, but for the last third of the game, we were pretty much silent. Lackey pitched seven innings and gave up four runs on seven hits while walking two and striking out five. His first run scored in the first, when he gave up two walks and a single. He gave up two more in the second thanks to a double and two singles. And he gave up a solo shot with one out in the third. But he went one-two-three in the fourth, fifth, and seventh, and he faced five batters in the sixth. So he did settle down. It was just too late. But I give him a lot of credit for reigning it in, gaining control, and grinding it out. You could tell that this one didn’t come easily. And I just wish we would have won, first of all because winning is a fun and important thing to do, and secondly because we should have been able to do so. Britton came on for the eighth and kept the score as it was. After all, we were the ones who scored first. Victorino doubled and later scored on a throwing error. The Royals scored all of their runs before we scored again. In the sixth, Nava singled, Drew doubled, and both scored on a single by Lavarnway. And we failed to get another rally going after that. Ultimately, we lost, 4-3. I think the relief corps and Middlebrooks deserve some serious recognition, because without their super-solid performances, the best we could have hoped for was to avoid being swept in a four-game series. Instead, we walked away yesterday with a well-earned win. 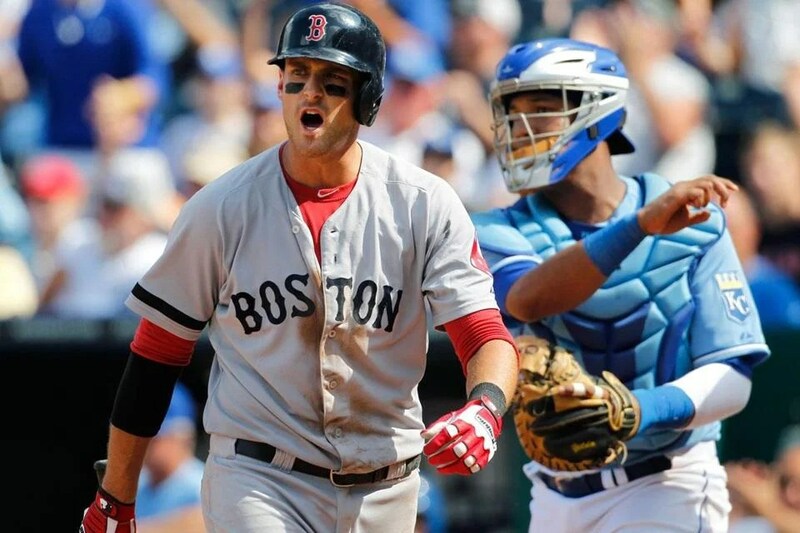 The relievers supplied the pitching we needed to preserve the lead that Middlebrooks had prominently helped to create. It was just a great game all around, but I have to say that those two aspects of it were really impressive. Doubront gave up three runs on six hits in four innings. But really he gave up all of those runs in the fifth inning. So he had one bad inning, or rather less than one bad inning, before he was pulled. Before that, he was really great. But in the fifth, he gave up a walk and two consecutive doubles and a single before Workman relieved him, and after striking out his first batter, he gave up an RBI single. He and Breslow teamed up to pitch a one-two-three sixth. Tazawa pitched the seventh and eighth, and Uehara pitched the ninth. So if not for that one bad less-than-one inning, we would have shut out the Royals. But the main point is that the pitching was better than the numbers suggested after the game was over. The relief corps certainly did an excellent job of holding it together; in the process, Workman picked up a well-deserved win and Uehara pitched up a well-deserved save. At the time, those three runs brought the Royals within one. We had scored four runs in the fourth. Carp walked to start the rally, and after Napoli struck out, Salty singled, Drew doubled in Carp with a little help from a deflection, Middlebrooks singled in Salty and Drew, and Ellsbury singled in Middlebrooks. With two out in the sixth, it was again Middlebrooks who figured prominently offensively; he singled and scored on a double by Ellsbury to add some insurance. So the final score, thanks in large part to the brilliance, both at the plate and on the basepaths, of Middlebrooks, was 5-3. If we win today, we can split the series. Well, Britton certainly deserved the blown save as well as the loss he thoroughly earned. He pitched absolutely horribly. 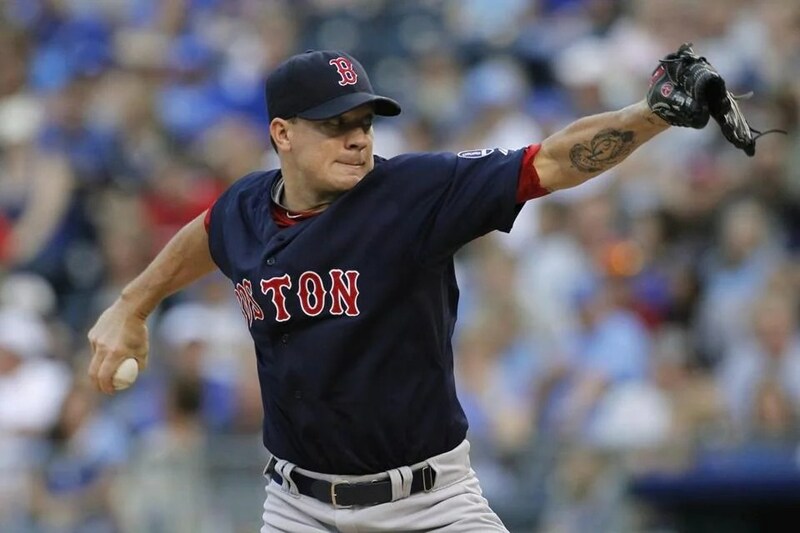 And though Peavy’s final line reported six runs on ten hits with two home runs over the course of five innings, a number of those runs actually scored on Britton’s watch. So yes, they were inherited runners, and yes, if Peavy hadn’t let them get on base, then they wouldn’t have scored. But it’s also true that we depend on our relief pitchers to enter difficult situations and get us out of them unscathed. And Britton basically did the exact opposite of that. We scored first. In the first. With one out, Victorino singled and eventually scored on a single by Nava. Peavy gave up a solo shot to lead off the second, and he gave up another run thanks to a single-single combination. We took back the lead in the third when homered to center in the third with one out, and then Napoli got hit and scored on a double by Salty. But Peavy caused a tie at three in the bottom of the third when he gave up another solo shot. 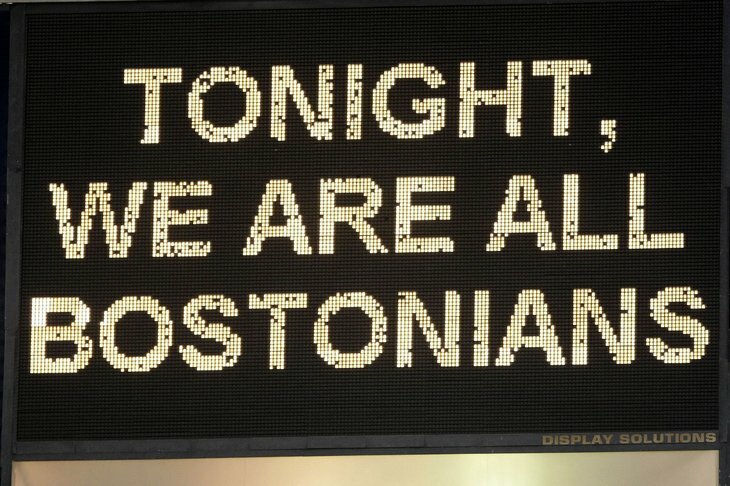 And we took the lead back again when Pedroia and Papi hit back-to-back singles and scored on a double by Napoli. And we gave it up again in the sixth. To be more specific, Peavy gave it up again in the sixth. He gave up three consecutive singles and a walk, and one run scored en route. And then Britton came on. He issued a walk and induced a popout and a sac fly and gave up a single, and three more runs scored. Then Beato came on and gave up a double and a single, and two more runs scored. And then no other runs scored. Breslow relieved Beato for the eighth. The damage had been done; the Royals scored six runs in the sixth inning alone. And with a final score of 9-6, we lost. We did not open this series on a positive note. We managed to avoid the shutout but the fact remains that we ultimately lost. I was very excited about Lester’s start. He gave up three runs, only one earned, on four hits while walking two and striking out four over seven innings. He threw 121 pitches. So obviously it was an excellent start, one that’s reminiscent of his old self. To get there, obviously he’ll have to turn up the strikeouts and turn down the number of pitches, but still. Lester had a bad first and was right solid for the entire rest of his start. He gave up a double followed by a groundout, and he issued a walk, and then he allowed a sac fly. But then Gomes made a fielding error, and a run scored, and a batter popped up, and he gave up another walk, and he gave up a single that resulted in two more runs scoring. So he only gave up one earned run. So technically it shouldn’t have been as bad as all that. And even if it had to be as bad as all that, it wasn’t actually that bad. He gave up three runs. We should have been able to power through that without a problem. Especially because he righted himself almost immediately. It was surreal how well he pitched after the first. Only in the fifth and seventh did he face more than the minimum. Unfortunately, our hitters were lucky just to collect three hits. Fortunately, we managed to save a little dignity by avoiding yet another shutout. In the ninth inning, the same inning that was our salvation on Wednesday, Gomes doubled and scored on a single by Drew. So it wasn’t a home run. And even if it was, two runs wouldn’t have helped if we didn’t follow it up with at least four more. Because, to make matters worse, De La Rosa came on in the eighth and made matters worse. His first pitch of the game was hit for a solo shot. Two outs later, he gave up another solo shot. So the final score was 5-1 and we lost. I don’t know how Dice-K does it. Most of the time he is just awful. And then all of a sudden he executes a start like this that’s just awesome, and it makes you think that maybe you shouldn’t write him off juts yet. Basically it’s so agonizing that he can’t just do this on a regular basis, and you can’t help thinking about what could possibly have gone wrong between Japan and where he is right now. He pitched seven innings and gave up one run, which wasn’t even earned, on five hits while walking two and striking out six. He threw 101 pitches, seventy-one of which were strikes, and by his standards that’s extremely efficient. 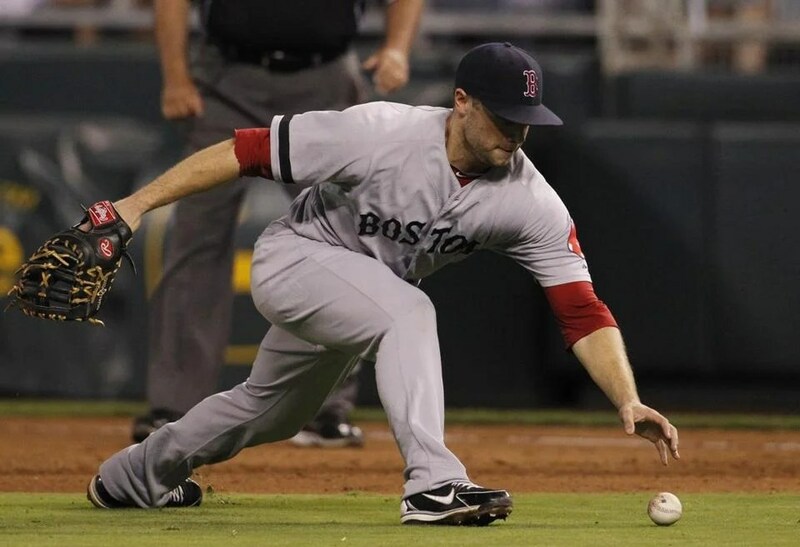 The lone run scored in the first; he started the game by allowing the first of his walks, which eventually turned into a run on a sac fly thanks en route to a missed catch by Pedroia, which allowed the runner to advance. 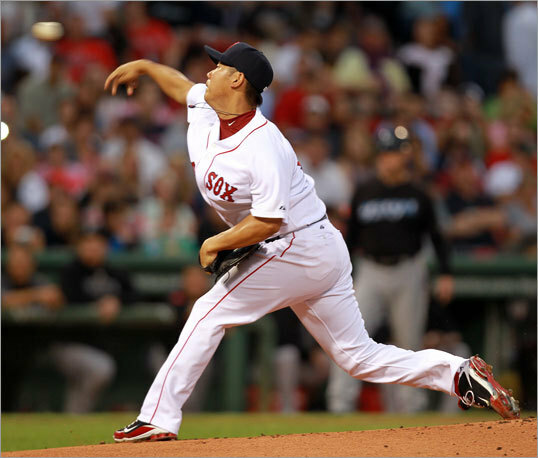 Dice-K had plenty of good relief behind him to keep the pitching momentum going. Mortensen and Padilla combined for the eighth, and Bailey handled the ninth. I guess this is him giving us a glimpse of what we should expect next season, when we hope he’ll be healthy at the start of it. Although we only outhit the Royals by one, we outscored them by four. Ellsbury single-handedly answered their run in the bottom of the first with a solo shot on his fourth pitch, the fourth straight four-seam he saw in that at-bat. All four pitches were the exact same speed, too: ninety-two miles per hour. He took the first two for balls, fouled the third, and went yard to right on the last. And with Ellsbury’s second home run of the year, the game was tied at one. But not for long. We took the lead in the third and never looked back. Podsednik and Pedroia hit back-to-back singles, and Ross singled them both in. Ellsbury and Ross hit back-to-back doubles in the sixth that scored one, and Loney followed it with a second consecutive scoring play, a single that plated Ross. And that’s a wrap! Literally nobody in the last four spots of the order produced a hit, a run, or an RBI. Only one, Gomez, managed to reach base all night, and that was because he walked. Meanwhile, three of the top five, Podsednik, Ellsbury, and Ross, went two for four. Ross bounced both of his hits off the Monster, and his double just barely missed making it into the seats for a home run. 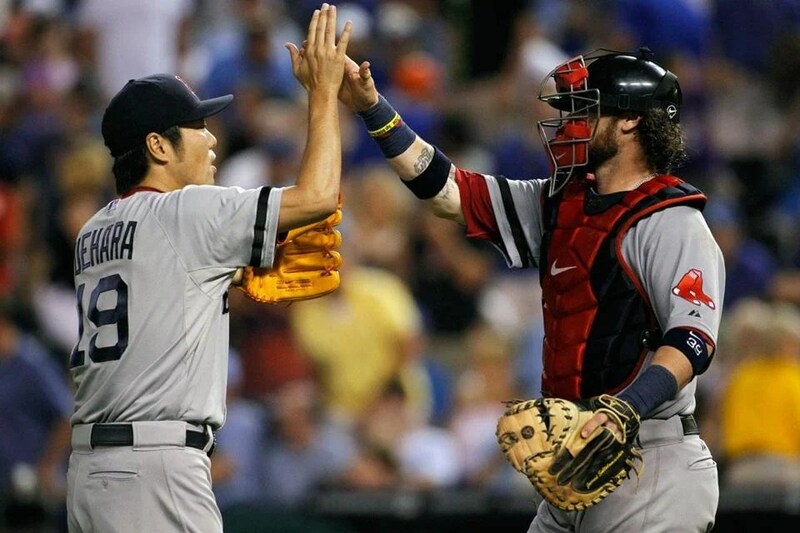 And with this win, Dice-K becomes one of only four Japanese pitchers to win fifty games. Not bad for someone who hasn’t seen Major League action in about two months.